Spring is almost knocking the door and so is the flash of all vibrant hues in our wardrobe and stash. 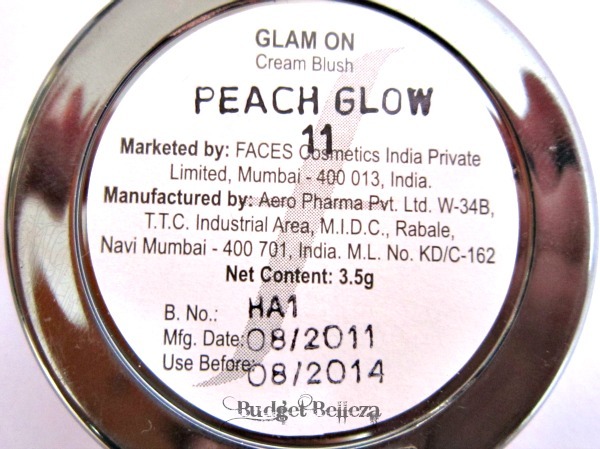 With tangerines and corals being the eternal love I ordered Faces Glam On Cream Blush in Peach Glow from an online shopping site. 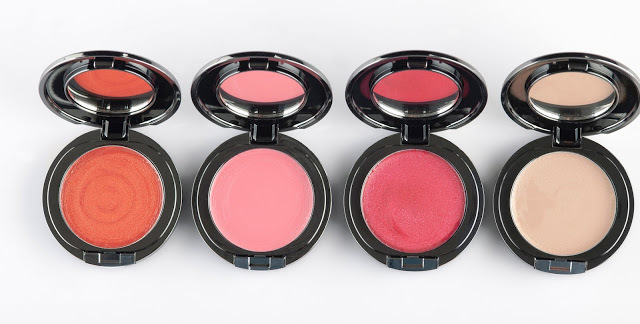 Faces Glam On Cream Blush gives blushing beauty at your fingertips with this weightless, creamy formula. 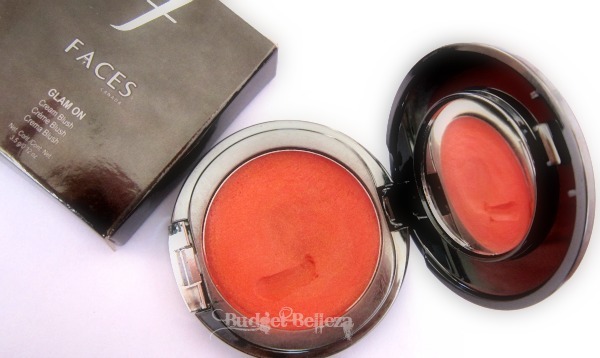 It lends natural, radiant, long lasting color to the cheeks due to a specially formulated, creamy formulation. 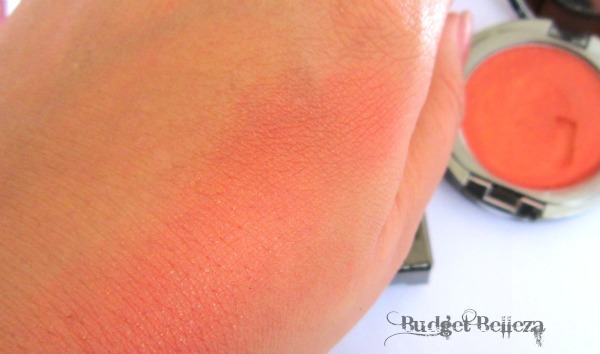 Simply dab the Cream Blush onto skin with fingertips to emulate the look of natural, youthful skin. Peach Glow is a deep warm orange shade. Its more rusty than peachy! Its a beautiful shade for sure and would suit all skin tones! But the very obvious golden shimmers in it make apt for night time application only! Well this is probably the USP of this blush..It comes in a sleek and neat steel grey packaging,it has a mirror too and the pan click locks. Very travel friendly and classy for sure! 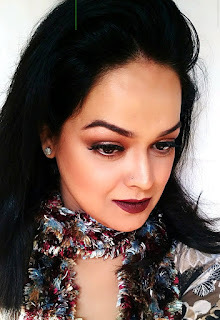 B- the shimmers..I'm not a fan of shimmery blushes and this one's way too shimmery for me The golden shimmers though miniscule in size come out in abundance in just a single swatch. Very Obvious in both day and night! C- Its not creamy :( Infact its way too hard to blend and I can't even imagine applying it in winters because it gets even more stiff then! 2. Comes with a mirror. 4. Takes very little space in bag.. travel friendly. 5. Won't melt in summers. 7. Would look beautiful on occasions and night outs. 8. Easily available online and at faces kiosks. 1. The golden shimmers are too obvious. 2. Difficult to blend.. brushes can't blend it,u'll have to dip fingers. 3. 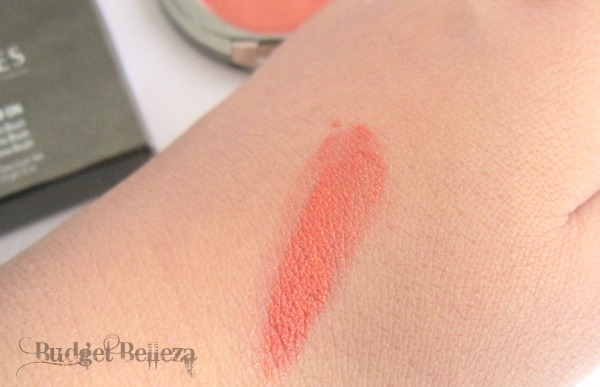 The shade- its not peach its intense orange with red undertones. 4. Only a party wear! I agree its more kind of orange than peach. Despite the cons, the shade is so pretty...plz do FOTD with this..